Though Atheism seems to be the intellectual fad of the day in many American and European academic circles, is it possible that this worldview is actually logically self-defeating? Is it reasonable to think that this "Problematic Perspective" of Atheism is intellectually untenable? Well, as we'll begin to see in this 3 part series investigating Atheism, this infamous worldview is full of contradictions, logical inconsistencies, and blind metaphysical assumptions. A Powerful Apologetic Method: ABDUCTIVE Reasoning! "What in the world is 'Abductive Reasoing'?" Well, abductive reasoning is employed by crime scene detectives, car mechanics, and your medical doctor. Abductive reasoning is when you look at all the known facts, and seek to form the best explanation to explain the data. Abductive reasoning seeks to find the "inference to the best explanation" for the known facts. Why isn't God more obvious? Why isn’t God more obvious? This question is often asked in many ways and in many contexts. When prayers go unanswered, why is God silent? When suffering or tragedy strikes, why would God allow this to happen? When struggling over the immense task of evangelism and the countless millions who do not know about God revealed in Jesus Christ, why wouldn’t God want more people to know God’s good news? When all the “evidence” seems to counter the Biblical narrative, why doesn’t God just give us a sign? When God was revealed through many wondrous signs and miracles throughout the Bible, why doesn’t God act that way today? All of these examples get at the same issue – the seeming “hiddenness” of God. Indeed, the belief in a God who can be easily found, and who has acted in time and space makes the hiddenness of God all the more poignant and perplexing. Theologians have offered many explanations for God’s hiddenness; to grow our faith, our sins and disobedience hides us from God, or at least keeps us from seeing God properly, or because God loves us and knows how much and how often we need to “find” God. All of these explanations point us to the truth. Oftentimes, we are just as likely to hide ourselves from God because of our guilt and shame, just as our first parents’ did in the Garden when God sought after them. In God, Is God Obvious? 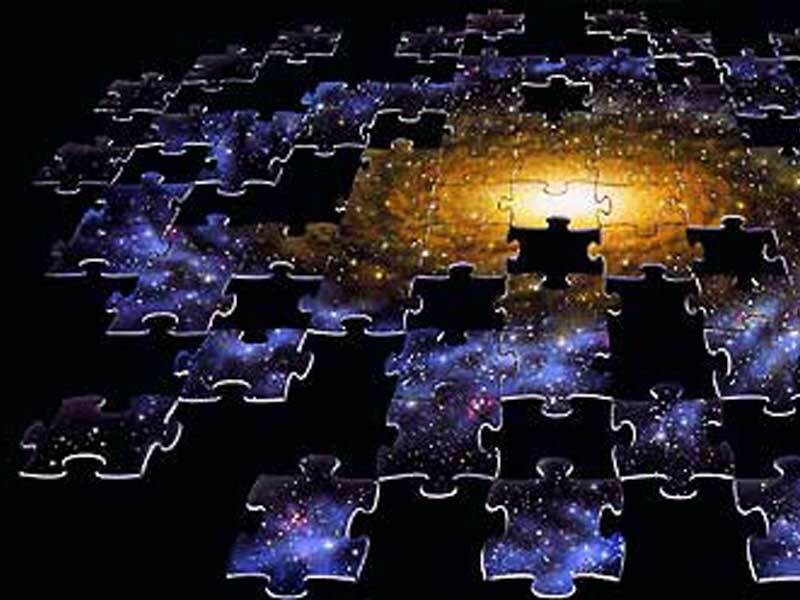 The absolute origin of the universe, of all matter and energy, even of physical space and time themselves, in the Big Bang singularity contradicts the perennial naturalistic assumption that the universe has always existed. One after another, models designed to avert the initial cosmological singularity--the Steady State model, the Oscillating model, Vacuum Fluctuation models--have come and gone. Current quantum gravity models, such as the Hartle-Hawking model and the Vilenkin model, must appeal to the physically unintelligible and metaphysically dubious device of "imaginary time" to avoid the universe's beginning. The contingency implied by an absolute beginning ex nihilo points to a transcendent cause of the universe beyond space and time. Philosophical objections to a cause of the universe fail to carry conviction. it is owing to their wonder that men both now begin and at first began to philosophize; they wondered originally at the obvious difficulties, then advanced little by little and stated difficulties about the greater matters, e.g. about the phenomena of the moon and those of the sun and the stars, and about the origin of the universe. The question of why the universe exists remains the ultimate mystery. Derek Parfit, a contemporary philosopher, declares that "No question is more sublime than why there is a Universe: why there is anything rather than nothing." This question led the great German mathematician and philosopher Gottfried Wilhelm Leibniz to posit the existence of a metaphysically necessary being which carries within itself the sufficient reason for its own existence and which constitutes the sufficient reason for the existence of everything else in the world. Leibniz identified this being as God. Leibniz's critics, on the other hand, claimed that the space-time universe may itself be the necessary being demanded by Leibniz's argument. Thus, the Scottish sceptic David Hume queried, "Why may not the material universe be the necessarily existent Being . . . ?" Indeed, "How can anything, that exists from eternity, have a cause, since that relation implies a priority in time and a beginning of existence?" There is no warrant for going beyond the universe to posit a supernatural ground of its existence. As Bertrand Russell put it so succinctly in his BBC radio debate with Frederick Copleston, "The universe is just there, and that's all." This stand-off persisted unaltered until 1917, the year in which Albert Einstein made a cosmological application of his newly discovered General Theory of Relativity. To his chagrin, he found that GTR would not permit a static model of the universe unless he introduced into his gravitational field equations a certain "fudge factor" L in order to counterbalance the gravitational effect of matter. Einstein's universe was balanced on a razor's edge, however, and the least perturbation would cause the universe either to implode or to expand. By taking this feature of Einstein's model seriously, Alexander Friedman and Georges Lemaitre were able to formulate independently in the 1920s solutions to the field equations which predicted an expanding universe. The monumental significance of the Friedman-Lemaitre model lay in its historization of the universe. As one commentator has remarked, up to this time the idea of the expansion of the universe "was absolutely beyond comprehension. Throughout all of human history the universe was regarded as fixed and immutable and the idea that it might actually be changing was inconceivable." which was taken to indicate a universal recessional motion of the light sources in the line of sight, provided a dramatic verification of the Friedman-Lemaitre model. Incredibly, what Hubble had discovered was the isotropic expansion of the universe predicted by Friedman and Lemaitre. It marked a veritable turning point in the history of science. "Of all the great predictions that science has ever made over the centuries," exclaims John Wheeler, "was there ever one greater than this, to predict, and predict correctly, and predict against all expectation a phenomenon so fantastic as the expansion of the universe?" Is GOD a "Necessary Being", one that MUST exist?!? Must GOD exist by 'Logical Necessity'? While most atheists would immediately cry "Ridculous! Absurd! ", or even stronger expressions of disagreement, the question must be thought through philosophically. Are there any arguments/lines of reasoning that are sound, and terminate with the conclusion that GOD must exist, as a logically Necessary Being, one that is the foundation for certain features of reality such as existence, morality, and necessary truths? Listen, learn, and remember.... have an Intelligent Faith! HOW CAN I BELIEVE IN GOD AND PAIN? For a while now, at least in the Western world, the existence of any form of pain, suffering, or evil has been regarded as evidence for the non-existence of God. If a good God existed, people reason, these things would not. But they do and, therefore, God does not. My job takes me around many different parts of the world in order to answer people’s questions about the Christian faith. I find it fascinating that I have never been asked this question in India, a country that certainly knows a lot more about suffering than many of us in the West. I find it even more intriguing that Christians who write books in situations where they have known unspeakable torment because of the gospel do not normally raise this as an issue for themselves either. Why? There are so many ways in which questions concerning pain can be raised. It can be raised because of personal loss and suffering or because of a personal interest in the issue of theodicy, to name but two. However, regardless of the way the question is raised, it normally comes down to a moral complaint against God. “How could you allow this to happen?” The complaint is against God’s moral character. “Can I really trust God if I see this happen?” But if you are sure that you can trust God, regardless of the pain you find yourself in, there is no temptation to turn you away, as you realize God is the only one who can help.
. If you argue from the existence of evil to the non-existence of God, you are assuming the existence of an absolute moral law in order for your argument to work. But if there is such a law this would also mean that there is such a God, since God is the only one who could give us such a law. And if there is such a God to give us this law, then the argument itself is flawed, since you have had to assume the existence of God in order to argue that God doesn’t exist. It is an attempt to invoke the existence of an absolute moral law without invoking the existence of an absolute moral law giver, and it cannot be done. Dr. Craig, I was wondering what the relationship between the proper name 'God' and the definite description 'The cause of the universe' is. A widely held belief amongst philosophers of language is that definite descriptions do not have the same referent in every possible world. For example, 'The man that won the election in 2008' is not necessarily Barack Obama. It may have been the case that John McCain won. So what about the definite description 'The cause of the universe'? If this doesn't have God as a referent in all possible worlds, then there is a possible word in which God is not the cause of the universe. Does this entail that there is no God? If God exists, does he have to be the cause of the universe out of necessity?